I want to start this post by saying a great big thank you to Andy, Elliot, Lee and Natalie that all did the London Marathon on 23rd April, they all raised money for CLIC Sargent for Princess Amelia, we cannot show enough thanks to you guys, you truly are amazing. Amelia has CLIC Sargent community nurses every week take her bloods and checking her levels, so to have 4 friends run a marathon for this great charity is truly amazing. Well, we continue on this journey, nearly 11 months in and Amelia is doing really well. We have looked back on some of the photo's and to me it seems such a long time ago, yet it's gone so quick. We also realise how lucky we are and how strong we are as a family and our amazing friends that have supported us. Amelia is continuing her dancing, she has started 2 new classes, stretch class on a Tuesday (she is determined to do the splits) and trust me, she will! Also a commercial dance every other Sunday - she loves this one! Oliver is loving his football, he is now doing 2 hours on a Saturday morning at Margate. We also had a lovely family wedding at the weekend in East Grinstead, congratulations to Kristen and Mark, Kristen is Amelia's 3rd cousin! 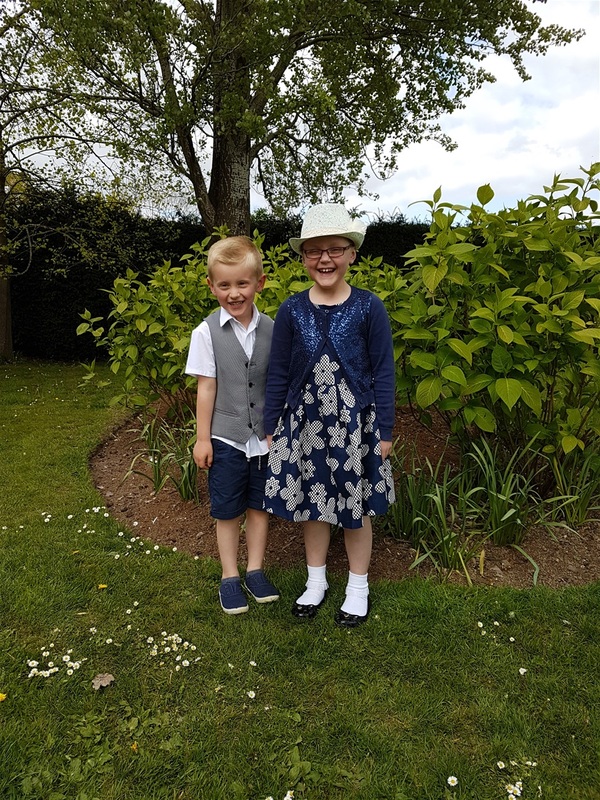 We all had a fantastic day and Amelia and Oliver had a brilliant day, laughing, playing and enjoying themselves. It was great to get dressed up, relax and let the kids be kids. We even had a game of football outside of the reception, Liam and I came off worse! Thursday 18th May is the day we go to The Royal Marsden to see our Consultant. 8 Cycles until end of treatment, we are nearing the end of the first - 7 to go. End of treatment date - 18th October 2018 - 532 days.